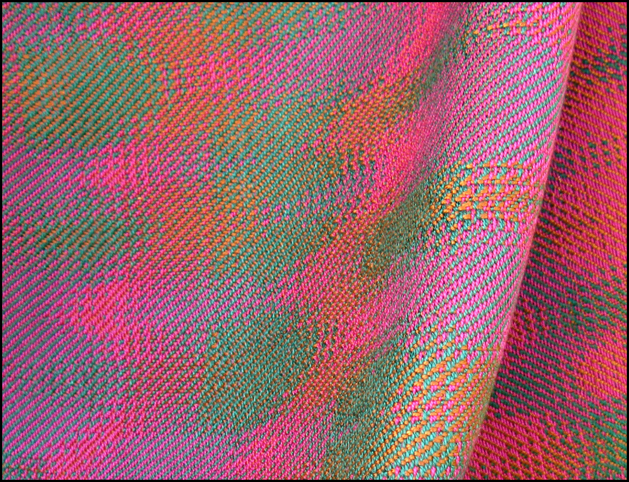 This is a detail of another echo scarf similar to the previous one except this time I used 10/2 fuchsia pearl cotton and 8/2 green Tencel for the warp and 8/2 orange/brown Tencel for the weft, resulting in a finer weave and a scarf with a lighter hand. 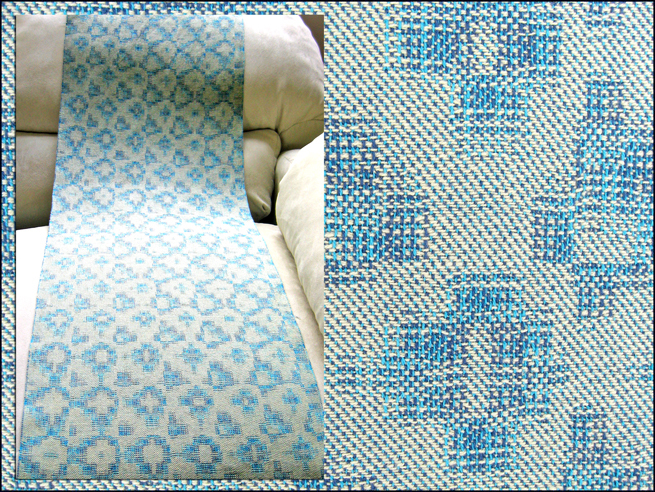 I was trying to mimic ikat when I designed this networked twill fabric with my weaving software. True ikat includes a dyeing/resist dyeing process while I was trying to get a similar effect with weave structure and placement of solid colors. 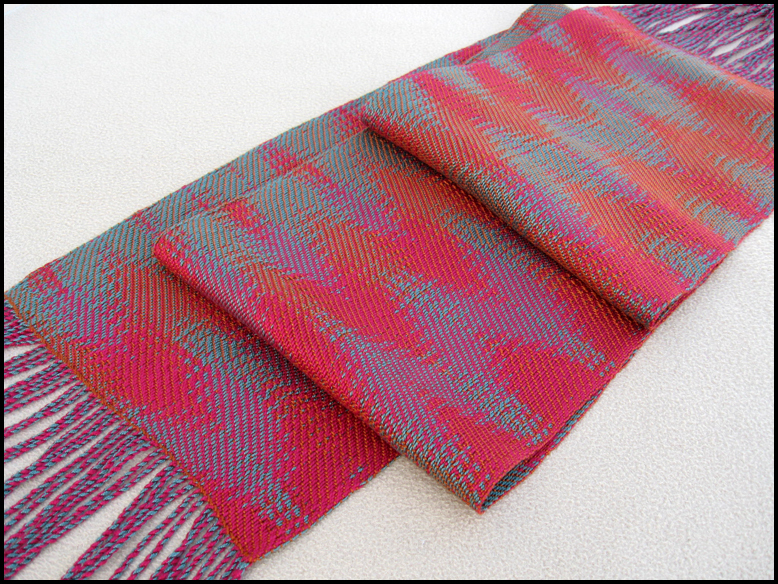 I wrote an article about this, “Ikat-Inspired Twill Studies” that was published in the February 2014 issue of the Complex Weavers Journal. I’m also sharing photos, drafts and notes with everyone in this blog post. 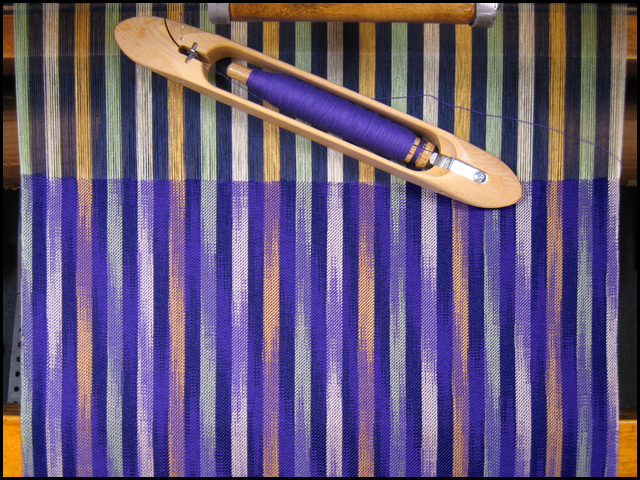 I was curious about crêpe weave and wove some cotton and rayon yardage of crêpe weave with satin stripes and also a crêpe weave Tencel and silk/merino scarf. I posted photos, drafts, and notes about what I learned here. 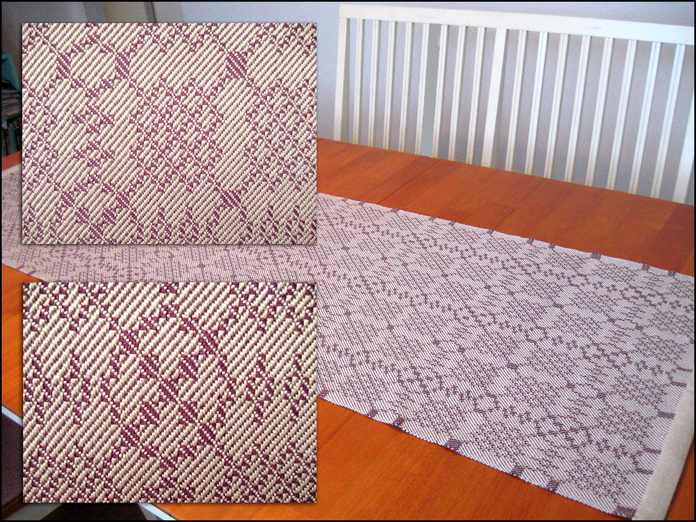 This is a table runner I designed with 4 blocks in traditional turned twill. Drafts and details about how I designed and wove it are in this post. 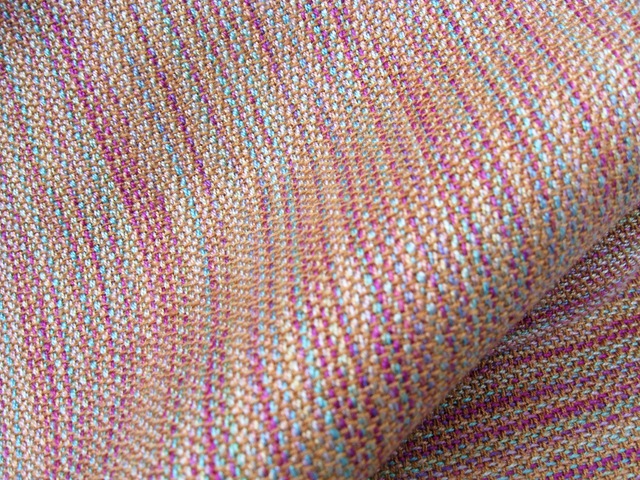 This is yardage I wove that is also turned twill but that I designed with a networked threading and treadling with areas that have fuzzy borders. You can view drafts and details about this project in the same post as the traditional turned twill table runner in the previous photo.